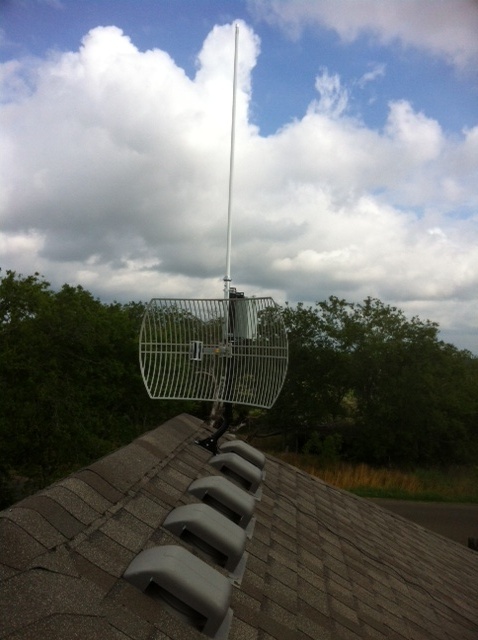 I am a new Ham (general class) and a new mesher with a nanobridge M2 all the way down in Stephenville, TX. I am curious about the advertised 18 mi range of the M2 and whether the BBHN firmware boosts this range any significant amount for Hams of different licenses. According to the google map, the closest (registered) node to me is about 60 mi away outside of weatherford. Does that map include all mesh nodes or just the mesh nodes that have manually registered their presence on the map? Am I basically SOL to connect to any broader mesh until I can figure out how to move to civilization? Unfortunately, the laws of physics still apply to BBHN. I can tell you that I have used NanoStation M2's at 13 miles and they work well. A friend of mine has gone closer to 20 miles but it was a week connection. The trick is line of sight including the Freznel zones. The NanoStation is my favorite device right now. The map only includes people who have registered. I suspect that there are a couple of other hams in Stephenville that are or could be convinced to use BBHN. I would suggest you try some of the local clubs such as the Tarelton Area Amatuer Radio Club and ask. It usually takes one or two people to start using BBHN in an area for it to catch on. We have a decent network going in Waco. It started out with one person putting up a node and someone else connecting to him.